Austria’s Marcel Hirscher won the Snow Queen Trophy in the men’s slalom competition at the International Ski Federation (FIS) Alpine Skiing World Cup in front of 11,000 spectators on Sljeme mountain, 10 kilometers from Zagreb. The Sochi 2014 silver medalist recorded a time of 1:50.60 over the two runs to secure victory at Croatia’s only World Cup event of the season. He was run very close by compatriot Michael Matt, who finished just 0.05 seconds behind him to finish second. This was Matt’s second silver medal in four days after claiming the same medal at the city event in Oslo on New Year’s Day. 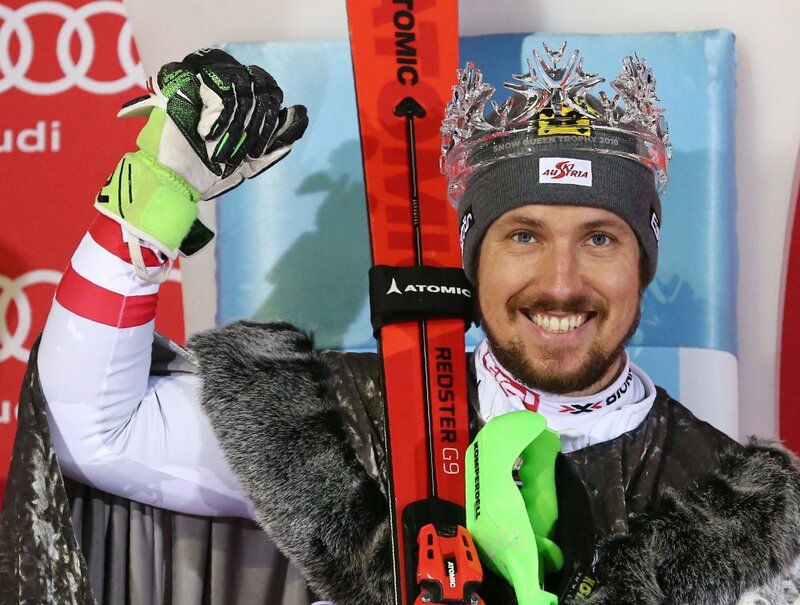 Matt had been in front after the first run and was set for his first gold of the season, however, he failed to hold off Hirscher, who increased his tally of slalom titles for the season to five with today’s Snow Queen Trophy win. The 28-year-old, who made his World Cup debut in March 2007 at the age of 18, has also extended his lead to 194 and 59 points over at the top of overall and slalom tables respectively, making it look increasingly likely that he will retain his title. Norway’s Henrik Kristoffersen claimed the final place on the podium with a time of 1:50.71. The next men’s FIS Alpine Skiing World Cup event will see the athletes travel to Adelboden in Switzerland to compete in the giant slalom on Saturday and Sunday (January 6 and 7).